This exhibit, “The Intersection: Untold Stories of Women of Color On the Move”, explores the intersecting “lines” and worlds of women of color on the move to create a more inclusive world. Through their untold stories, we all can learn more about history, issues, trends, perspectives, motivation and courage. The women of color –many hidden figures—in the exhibit are considered pacesetters and gamechangers who broke barriers in civil rights and feminism before it was commonly known, acknowledged or accepted. 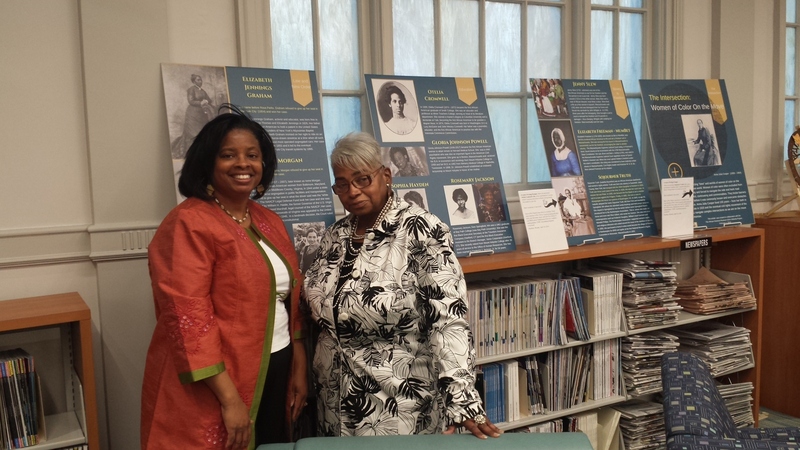 Each of the 31 women highlighted in the 13 panels offers valuable life lessons for every generation – especially as the exhibit details the various intersections where stories emerged, challenges were clear and success was evident.